Yahoo! 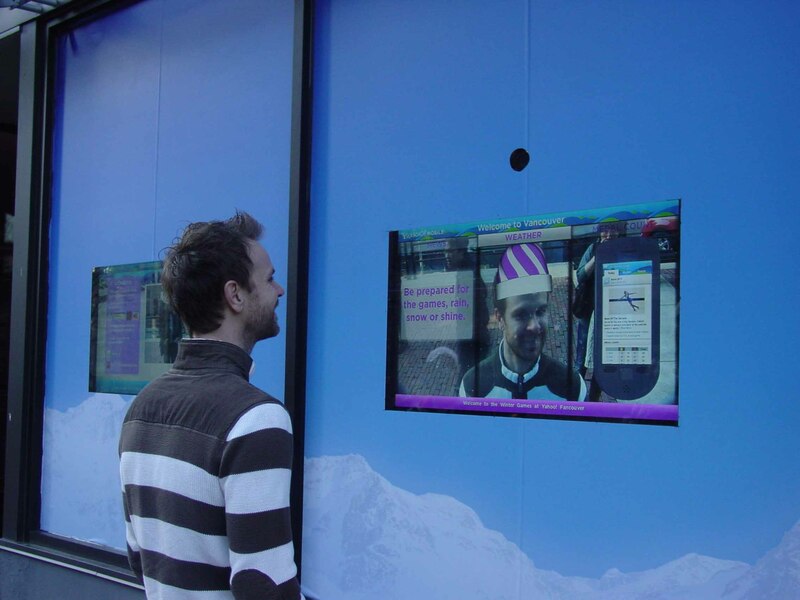 and augmented reality leader Total Immersion have come up with some nifty ways to bring consumers into the action at the world’s largest winter sporting event. Yahoo!’s “Fancouver” exhibit enables passers-by to insert themselves into the festivities in a host of guises. Kicking off yesterday, Feb. 12, Fancouver features an entertaining and versatile digital out-of-home display, with dual windows that use augmented reality (AR) face tracking and tracking to a brochure, respectively, to give fans a distinctly different view of the proceedings. Once again AR proves that with imagination it can create a huge impression, with much smaller cost. You really saved my skin with this infomariotn. Thanks!